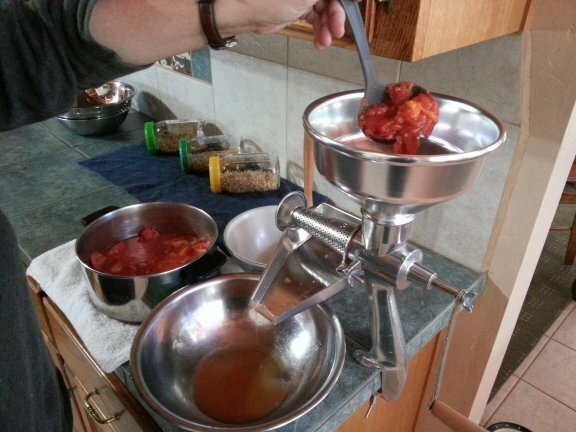 A Homestead Must Have… Squeezo! While the mid-west was battling the worst drought since the 1950’s, Arizona was catching the missing moisture! Jerri had a wonderful garden and a bumper crop of tomatoes. 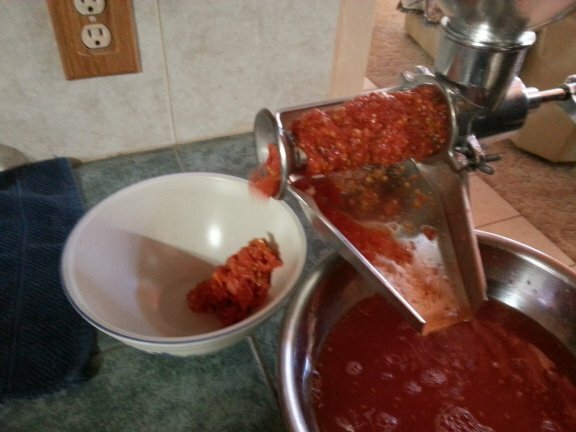 She really wanted to make some tomato sauce. 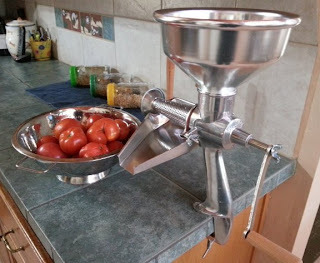 We sell Squeezo’s on our website, so Jerri placed an order (she knows people)… She hooked it up on the counter with the built in clamp (as seen on the left) and set up a dish for the sauce and a bowl for the peels and seeds. To say she was thrilled is an understatement! 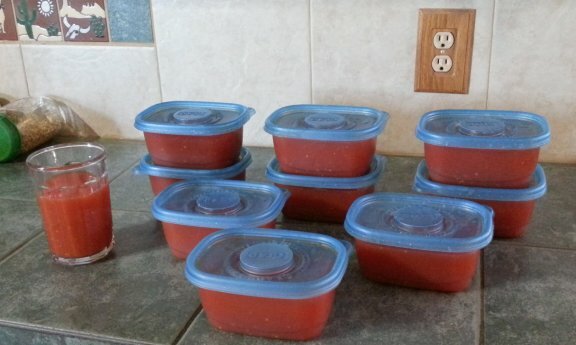 The Squeezo couldn’t have done a more amazing job at creating the best tomato sauce Jerri had ever made! 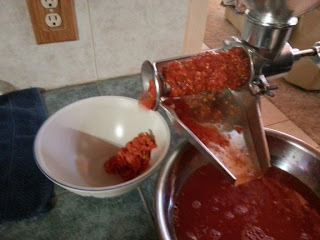 No seeds, no bits of skin, just amazing tomato sauce! 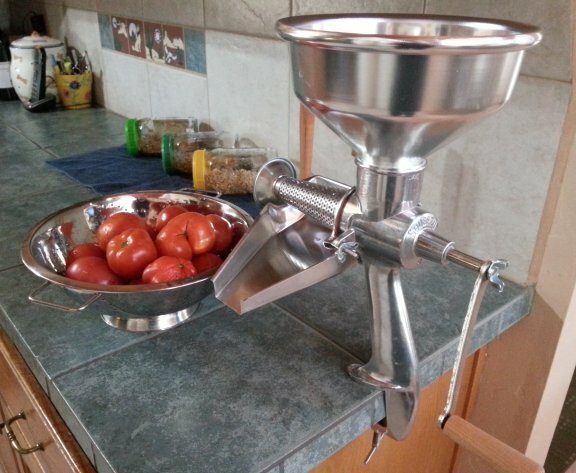 In fact, everything she used it for reinforced the decision to purchase a Squeezo! I know the garden season has wound down and time for putting up vegetables is over for the majority of the country. The Squeezo would make a great birthday gift, holiday gift or maybe just something you might want before the next gardening season gets into full swing. 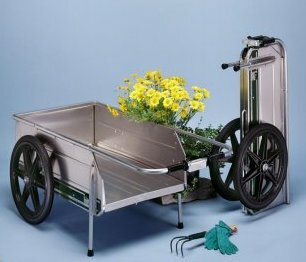 I certainly know that based on her raving reviews, it will be a must have for me before the garden starts producing! Squeezo is manufactured right here in the USA by some homesteading friends of ours… Homestead Helpers and Best Products. Like many other companies we work with, we’ve agreed long ago that companies with similar product lines can work together and even become friends!! Check out the history of the Squeezo at the link above! Wishing everyone a wonderful Thanksgiving and as always… Happy Homesteading!! 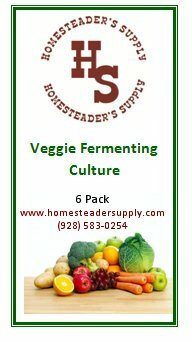 This entry was posted in Canning, Gardening, Homesteading, Preserving on November 21, 2012 by Homesteader's Supply. 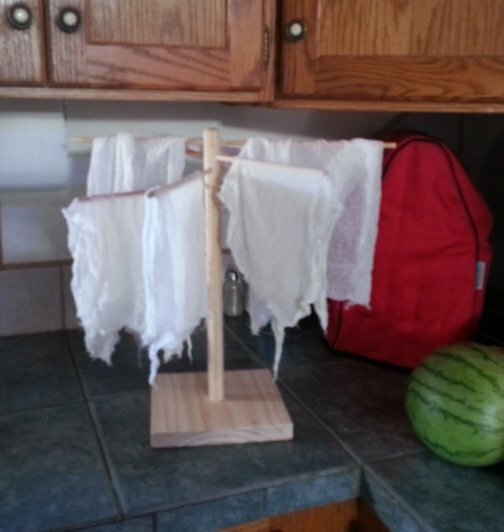 As A Homesteader… Are You Prepared?? 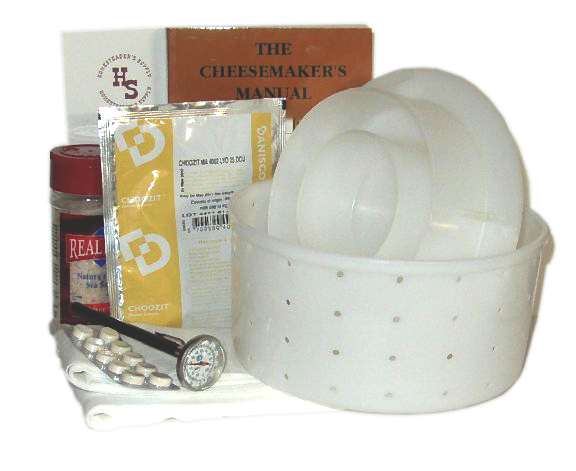 Homesteader’s Supply focuses on the needs for those who wish to gain some self sufficiency from their land. While a lot of homesteader’s preserve food for winter… are you really prepared for something like Hurricane Sandy when it comes to feeding you and your family? I ask because a few months ago we brought a new product line into our mix. I’m looking for your opinion since we aren’t getting many hits. We’ve added incentives on orders and even changed the entire line to free shipping and still not much interest. OH…. What is the product you ask??? 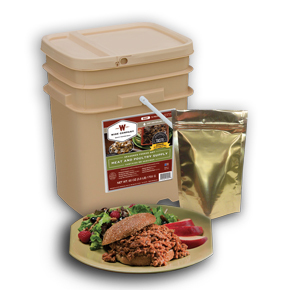 Wise Ready Eat Food Kits are the new item we brought into the mix and we really thought this would be something that folks would be excited about. 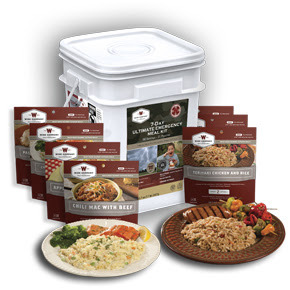 The discussion we had was… “Do homesteader’s want prepackaged food or do we make our own prepackaged food by dehydrating, fermenting, canning, freezing, etc… and therefore, don’t need these prepared kits.” I’m sure there are those who consider themselves homesteaders, but also work full time jobs and while they do raise a good portion of their own food… they may also want something to turn to should disaster strike as it did recently in the Northeast. Now, it’s your turn. 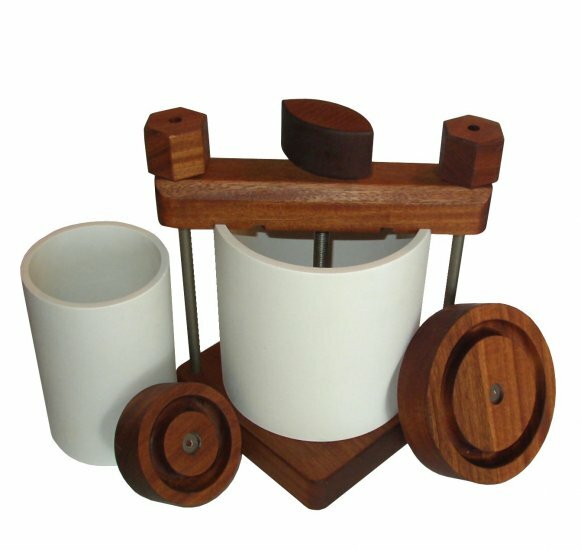 Please give us your thoughts, should we keep this product line or not? This entry was posted in New Products on November 5, 2012 by Homesteader's Supply. 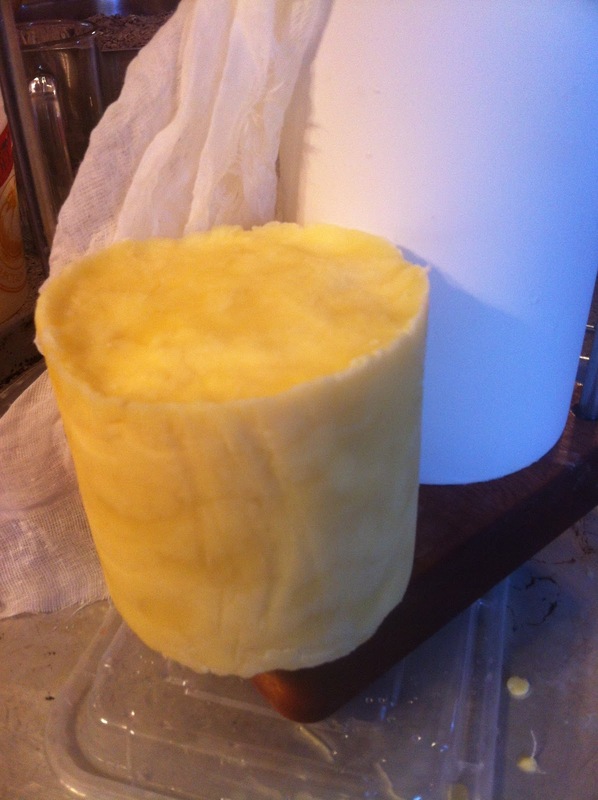 Making Cheese for the First Time! “Hi. I was listening to your podcast interview with Wardeh, and heard you say please send pics. Here is my new cheese press with my first batch of queso fresco made while watching Wardeh’s video. ( easier for me to watch and do than read and do). Thanks so much for all those wonderful features you highlighted–the easy turning gears, the follower with the notches, the compact simplicity of the design, the beautiful cheese cloth that I just can’t find where I live… The list goes on… Oh, and another thing–the press washed up so beautifully and easily. I couldn’t believe it. Thought I’d be scraping gunk off it. Nope. Just rinse and wipe with a sponge. Great design. 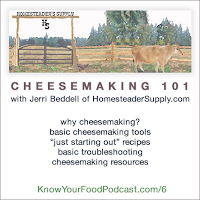 We were so excited to get such personal and wonderful feedback from a fellow homesteader and new cheese maker that we just had to share it.. Cindy and her family live about 30 miles from Nashville in farming country and enjoy the self sufficiency that homesteading offers. From the photo’s I’d say that her first attempt at cheese was a great success!!!! Thank you Cindy for sharing your experience with us and for the wonderful feedback on the press!!!! This entry was posted in Cheese Making, Homesteading, How-To on November 2, 2012 by Homesteader's Supply.